Internationally successful stallion. 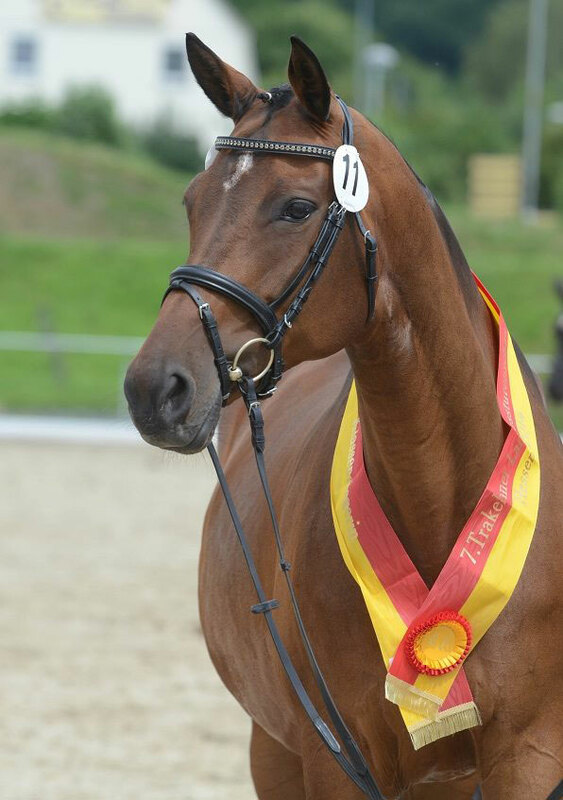 Kasimir TSF was awarded Trakehner Elite Stallion in 2014 due to numerous advanced (S) level placings and two licensed sons. Kasimir also placed second in the world ranking of Children in 2015, which underlines his great character! Kasimir is for lease at Gestüt Brune. The career of Kasimir TSF ran absolutely exemplary. 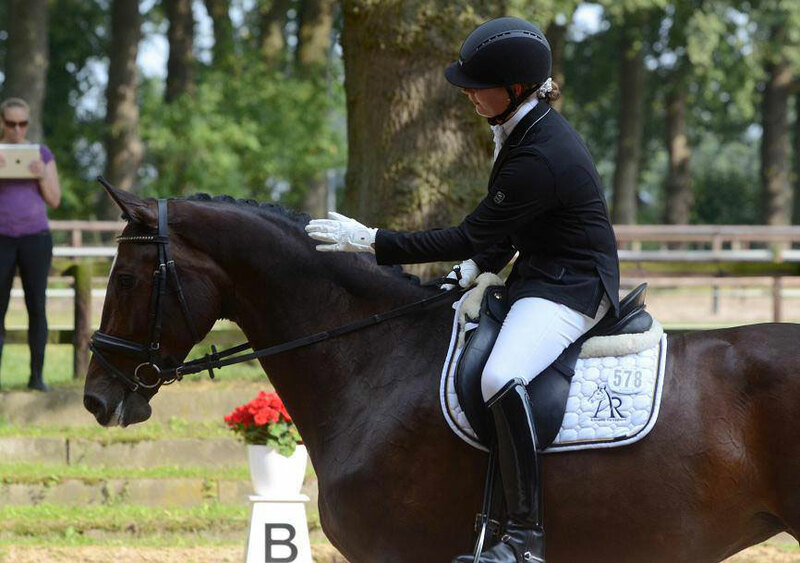 In 2004 he left the Trakehner licensing site as Premium Stallion. 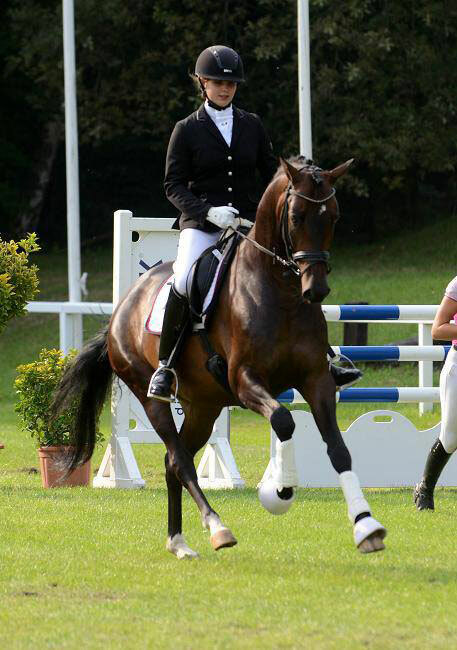 The following year he was representative of his breed at the Bundeschampionat after taking the silver medal at the Trakehner National Championship. 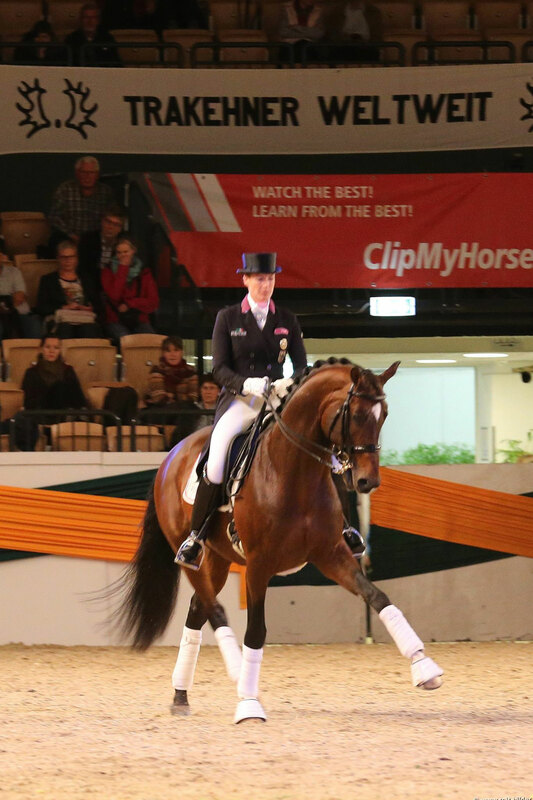 In 2006, he became reserve winner at his stallion performance test and dressage index winner in Marbach. 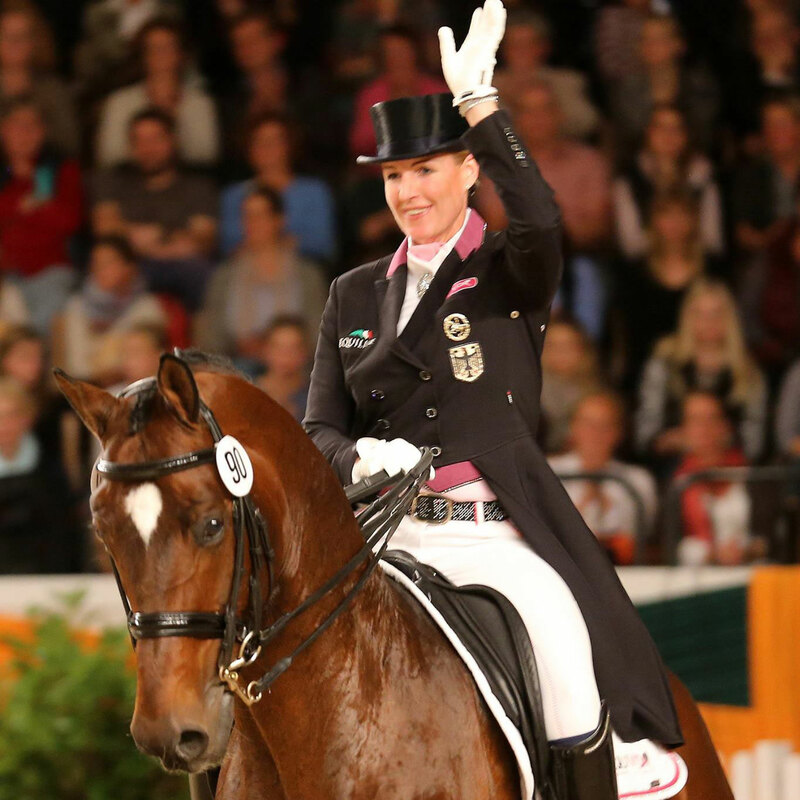 Then in 2007 and 2008, Kasimir TSF qualified for the Bundeschampionat in the section for young dressage horses. 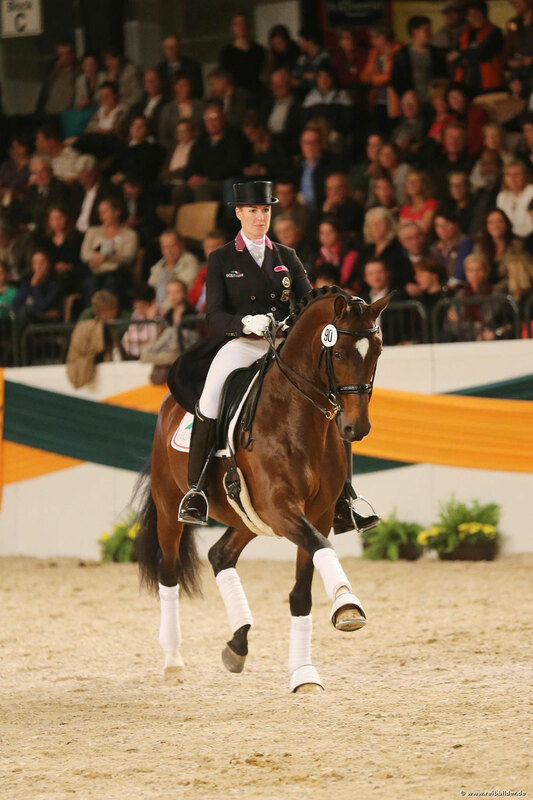 Under the young rider Anna-Lena Kracht he won continuously competitions in the small tour, up to a fifth rank at the 2011' German Junior Dressage Championships in Freudenberg as well as a first place in the Nations Cup in Hagen a.T.W. in the same year. 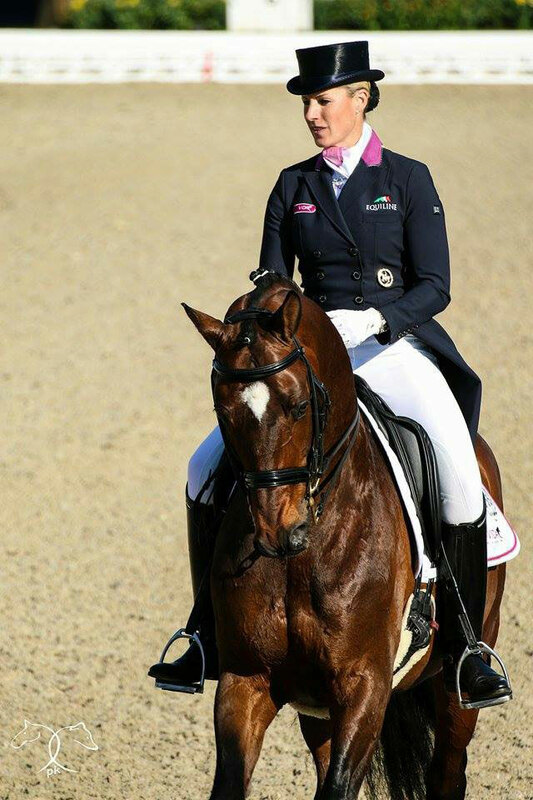 With his new rider Bernadette Brune Kasimir TSF continued his success on the international dressage scene. 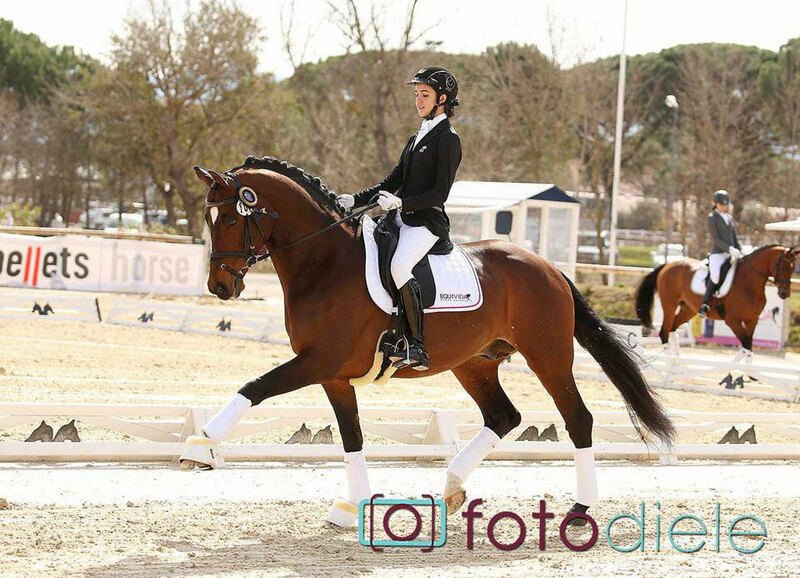 Due to his sport activities Kasimir TSF was used only rarely in breeding, but presented highly rideable progeny, which already compete successfully in dressage at advanced level. Two sons are licensed. 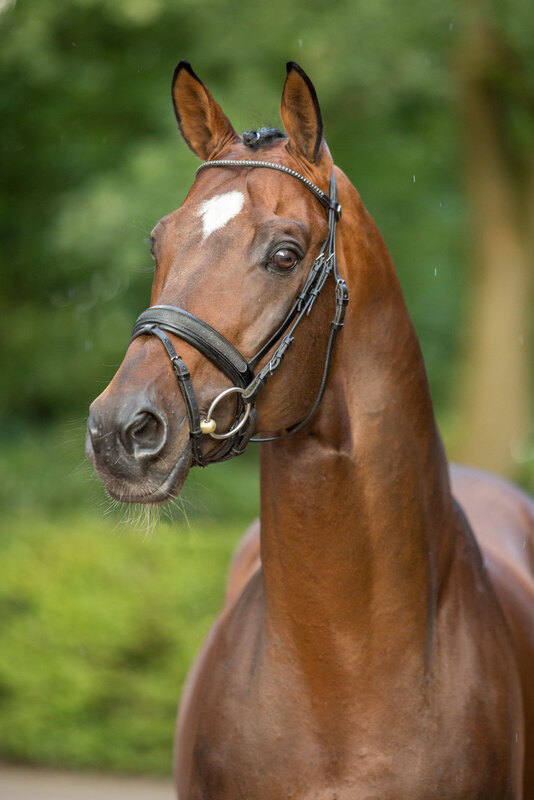 The sire Ivernel descends from the legendary Trakehner line-founding stallion Arogno, who can be found in Kasimir TSF's pedigree twice. 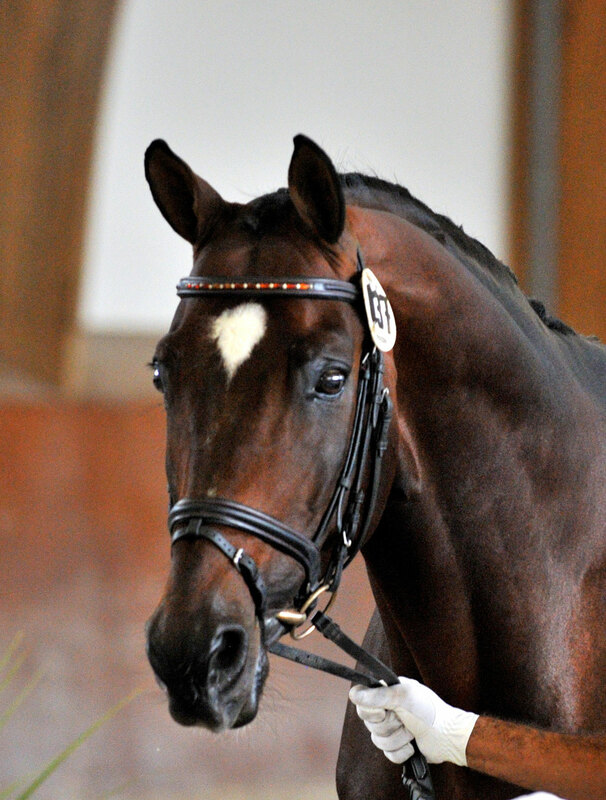 Ivernel was Premium Stallion at his licensing and the 1998' Champion Stallion at the Danish licensing. After being reserve winner at his stallion performance test in Medingen in 1995 he won the Trakehner Championship for four-year old riding horses under Petra Wilm in 1996. 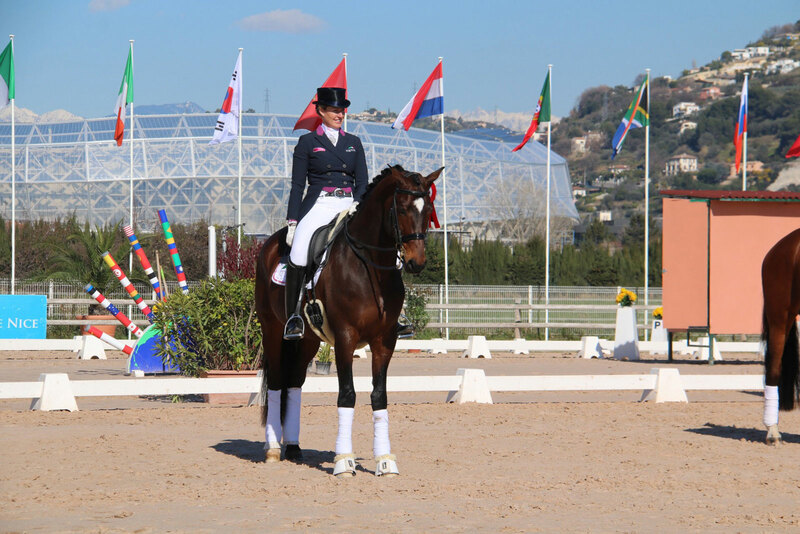 Later, this pair placed with the best in dressage up to Prix St. Georges. 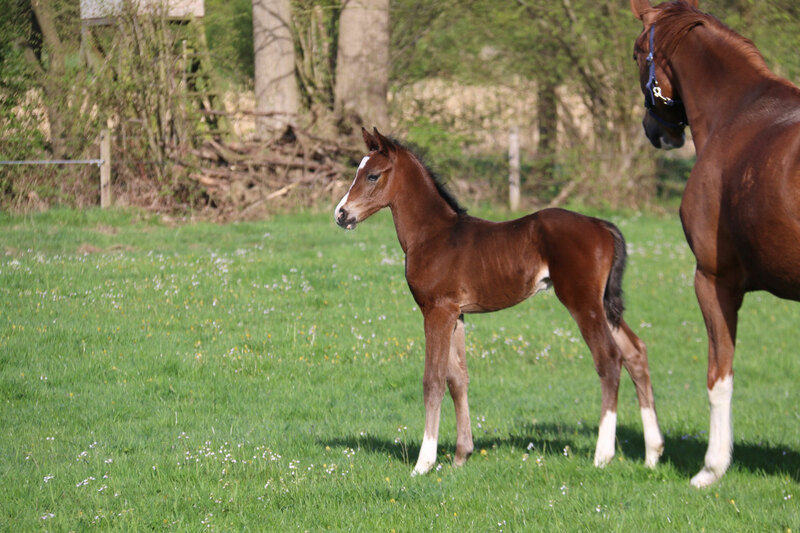 Four sons of Ivernel were licensed, including the Premium Stallion Prêt à Porter, who himself sired the Trakehner Champion Stallion Le Rouge, as well as the premium awarded Schönbrunn. Kasimir's dam, State Premium and Elite Mare Karissima, was awarded Champion Mare of the Year 1999 in Neumuenster. 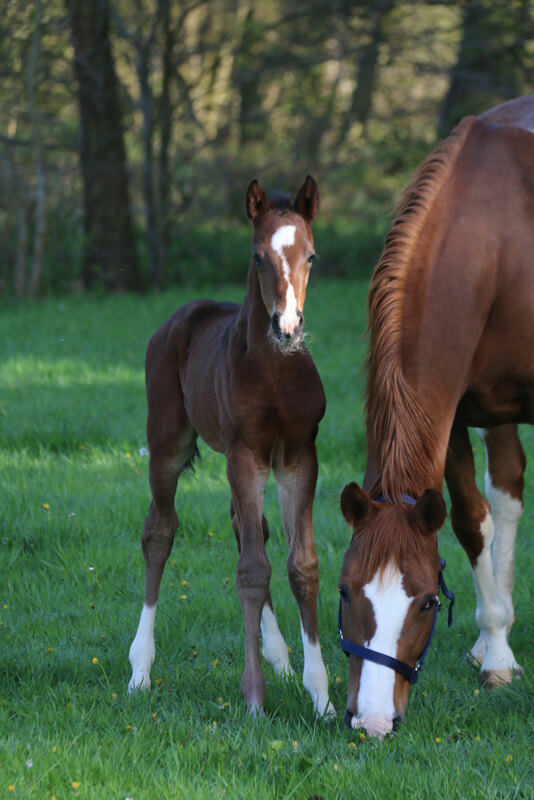 Her daughter and full-sister of Kasimir, Kosima, became reserve Champion Mare of the Year 2003 and placed in front at the Trakehner Riding Horse Championship. The dam's sire Charly Chaplin, who competed victoriously up to Grand Prix under Christoph von Daehne, produced the three licensed stallions Cidre, Polarzauber and Pyatt Charly. 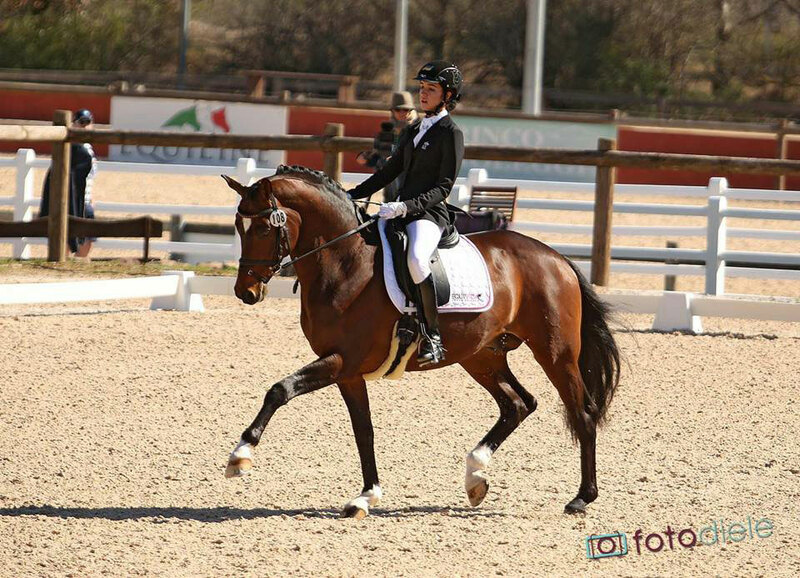 Konradi (by Charly Chaplin), who won Inter I competitions in series under Peter Koch, and the licensed medium dressage level successful Karl Lagerfeld (by Hofrat) are both out of the granddam, Elite Mare Kastanie XII. The dam line of Kasimir TSF leads to the legendary Dohna K line, from which the branch of Kordel produced at least the Trakehner Champion Stallion Kissinger. This line is also known for the champion stallions Kennedy, Kupferberg Gold and King Arthur, the sport horse-makers Kosmos, Kunzit, Kurfürst and Kornett as well as the successful sport horses Kleopatra, Kronjuwel and Korofino.